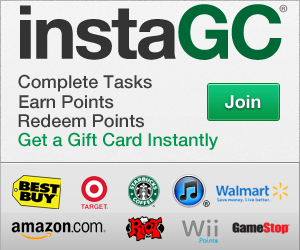 Update: As of 2-6-17, InstaGC is paying 736 pts on the Adgate Rewards wall (use the "Category: Apps" filter to find it quick.) The only difference is that you have to reach a level 10 stronghold. Today, I want to share the trick to getting the "game of war" game to credit on Swagbucks. The same method applies to all other sites. It's good practice to compare the points on all the different sites so that you get the highest pay for downloading games. As of 12/30/16, Swagbucks is paying double SB on the Trialpay offer wall, but remember this is a limited promotion. If you miss it, it's not a big deal since every once in a while they will bring it back. This offer is free and requires no money, don't pay for anything! How to find the game? I found the Game of War android game by going to Discover<Trialpay<more<games and entertainment - Game of War (android)- 320 SB (during bonus promo) or 160 SB. It was on the first page for me. 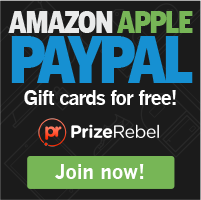 In order to qualify for this offer, you must be a first time user. When you click on the offer you have three options: use QR scanner, or send download link to a phone number or email. Download the game on the google play app store. Play the game by following the tutorials. It basically breaks down to upgrading levels by building what it tells you in the "Quest" overlay near the bottom of the screen. You keep upgrading until you reach the level 5 stronghold, and then you will get your credit in Swagbucks instantly. The stronghold level is what you really care about. Don't worry about your player's level. The most important thing to do is to join an alliance so that they can help you speed up your building quests by giving you free speed ups. Make sure to join alliance with a lot of users so that more people can help you. The key thing to do when upgrading is to use speed ups as much as possible, and use the "free" purple speed up when available. If no one helps you and your building quest is taking too much time, remember to use the "collect" feature under quests<empire quests. Also, you may consider using your gold coins shown in the top right corner to buy speed ups. Hope this works for you guys! Good luck!